Jalil Brown, the extremely physical three-year starter at Colorado has what it takes to succeed in the NFL. And may just be exactly what the Oakland Raiders need to boost a secondary minus Pro-Bowl cornerback Nnamdi Asomugha. Brown flourishes in jamming receivers off their routes from the line of scrimmage, which of course is no picnic for the quarterback trying to find an open man down the field. He performs outstandingly when able to watch the eyes of the quarterback; his strength in man-coverage illustrates his blazing speed in all-important game situations. Nonetheless, he may not have had the best luck at the Combine, as he was overshadowed by acrobatic Texas cornerback Curtis Brown, who participated in the position drills just before him. Moreover, his numbers weren’t very strong, and the analysts seemed to forget he was even in attendance. Fortunately, team scouts and coaches liked what they witnessed and he did partake in all measurements and required position drills. He also exemplified great character in his interview. Brown knew he needed to elevate himself to improve his stock and secure a Top 100 spot in this year’s draft. Two weeks ago it was go-time for Brown to step up a notch and make his presence felt in the audience at the Colorado Pro Day. His numbers improved greatly and was mostly seen in his 40-time, which changed from a low 4.5 to a low 4.4, and the position drills, where, analogous to Smith, looked as sharp as a two-edged sword. In the Big 12, the two teammates were a lethal combo and formed one the best cornerback duos in the nation. Brown had more pressure and more action on his side of the field as Smith was one who injected more fear. Last week he began working out for teams throughout the league and has more on the docket this week as well. In the NFL, look for him to find success just as he did in college as a highly-respected team captain. With his quick feet, long arms and great awareness, Brown will be able to stay with the opposing receiver on the outside and down the sideline, break up passes like Godzilla and put his offense back on the field with game-changing interceptions. His likely destination lies between the third and fourth round, but could crack the bottom of round two in a cornerback class that lacks depth. Fortunately, there are many teams with needs to address in the secondary, and someone may be waiting to pull the trigger on a player with great character. If the Raiders decide he’s there man he’ll be selected in the third round. 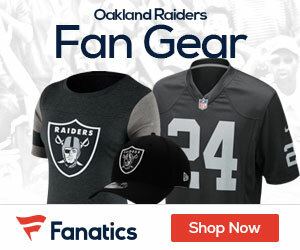 With the right coaching from Raiders new defensive coordinator Chuck Bresnahan and new cornerback coach Rod Woodson, he will have the right physical tools in place. Leaving no question that Jalil Brown can shine in the NFL at Oakland.